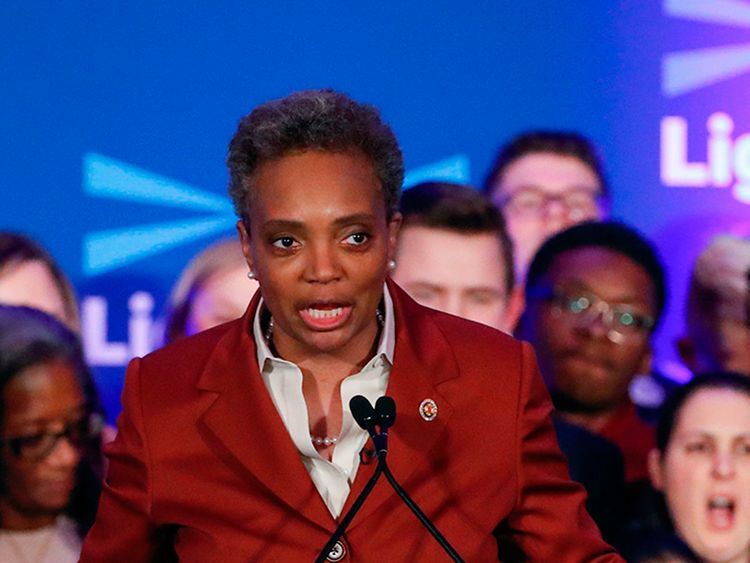 Chicago: In a historic first, a gay African American woman was elected mayor of America's third largest city Tuesday, as Chicago voters entrusted a political novice with tackling difficult problems of economic inequality and gun violence. She beat out Toni Preckwinkle, who is also an African American woman, by a wide margin of 74 to 26 per cent in early voting results with most ballots counted. "People (are) hoping for something different to come along. To be the vessel for that is overwhelming," Lightfoot told reporters earlier after the polls opened. Voters had left little doubt they want the next mayor to tackle major issues vexing the city of 2.7 million people - especially economic disparities and gun violence that claims more lives than in other major American cities. More than 550 people were killed in Chicago last year due to gang violence often fueled by the drug trade - most in economically-struggling and majority African American neighbourhoods.